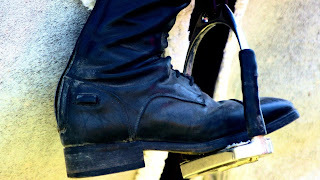 Stirrups are made to help the rider with balance and stability but sometimes they actually make things worse. 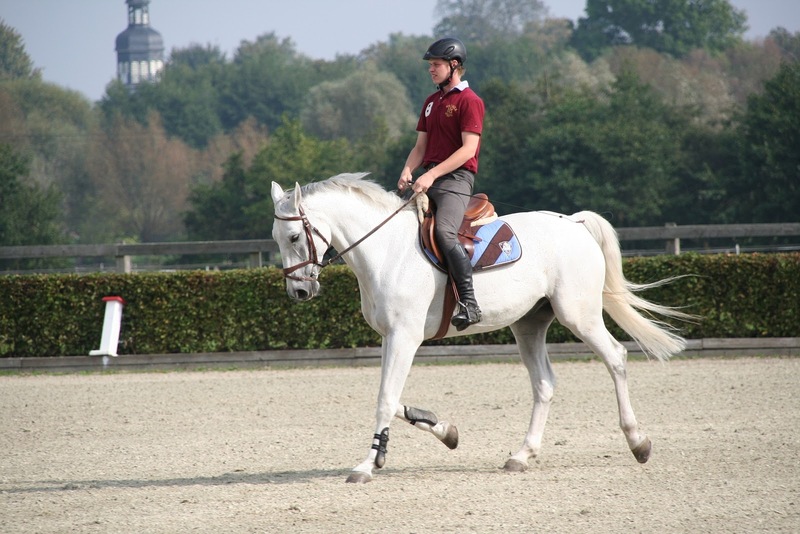 They put our whole leg in the wrong position, make our ankles twist outwards and can affect our whole riding position. Here are just some of the reasons that you aren't using the correct stirrups AND how to choose the correct ones in the future. If you can ride without stirrups with your legs in the correct position but as soon as you get some stirrups on your saddle your legs move too far forward, it's probably your stirrups. Well, technically it is your stirrup leathers. When you buy a saddle, you may not think about how it fits you. 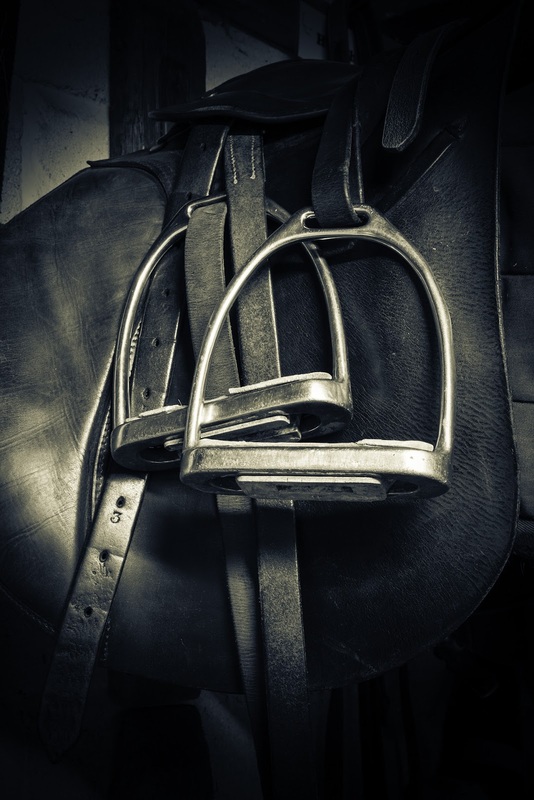 If your saddle doesn't fit you properly, your stirrup leathers will hang in the wrong place. This means that your legs will automatically be put too far forward. 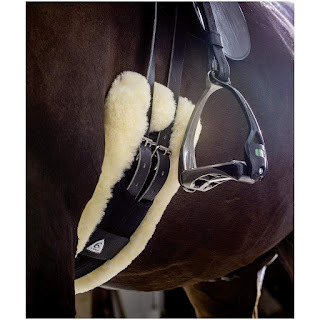 Some saddles have an extension on the stirrup leather holder so you can try to move the leathers back onto the extension and see if that helps. If your foot is sliding through the stirrup then the stirrup is too big for your foot. On the other hand, if your stirrups are too small, you risk your foot getting stuck if you fall off. A good way to measure the size of your stirrup is to make sure you have a finger's width at each side of the stirrup. If your ankle is twisting your toes to the outside, it is either a position problem or your stirrups. If your toes are pointing to the outside while riding your horse AND it is a position problem, your whole leg will usually be turned to the outside. If it is a stirrup problem it will only be your ankles that twist outwards. 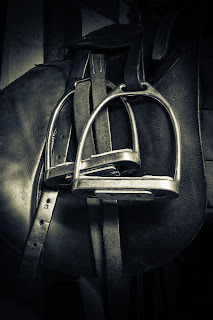 To fix this, try to use a type of stirrup that is made to hang in the perfect position *like this one. * This also means your stirrup leathers won't twist when your riding. If your feet keep slipping out of your stirrups (it's a pretty violent motion and will probably spook your horse!) then your stirrups most likely don't have enough grip. If you are having this problem, try switching the type of tread on your stirrup. I personally like using a *'cheese grater' typed tread* due to me doing a lot of show jumping and fast work but there are plenty of less abrasive types to look for.